It's the dawn of a bright new era for Speakeasy Kava - we're now under new ownership and management. The name, the theme, and the staff will all remain the same. Our excited, motivated new owners with a combined 15+ years experience in the hospitality industry see the value in the talented team working at Speakeasy Kava and all the potential there is for positive growth within the community. The goal is not to start with a clean slate, but rather to improve upon the existing customer experience and quality products already at work in this amazing, one-of-a-kind teabar. Our staff is the magic behind what makes Speakeasy Kava truly great. 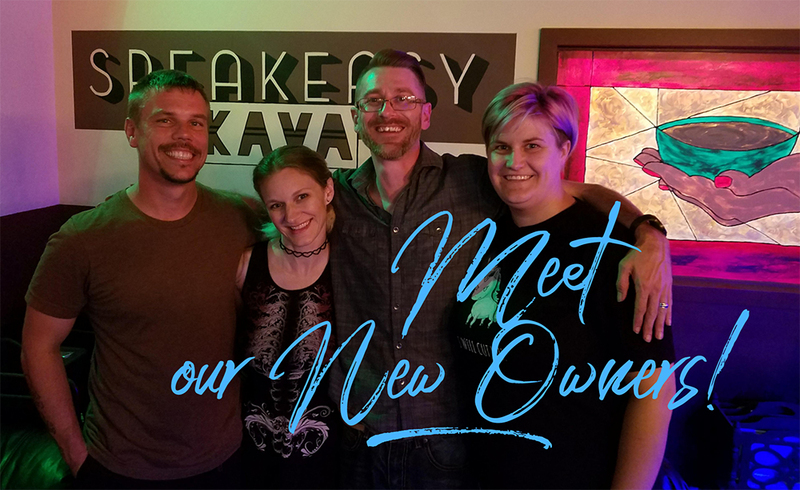 Read below to learn more about our teatenders, many of which play more than just a teatender role at Speakeasy Kava including its owner, managerial staff, and marketing personnel. Welcome new owner Doug Merriott with over 10 years experience working in the restaurant industry. Doug is a kava bar regular and has a unique understanding of how to make a kava bar special. Doug is also a realtor and a family man who lives locally with his wife Danielle and their four young children. 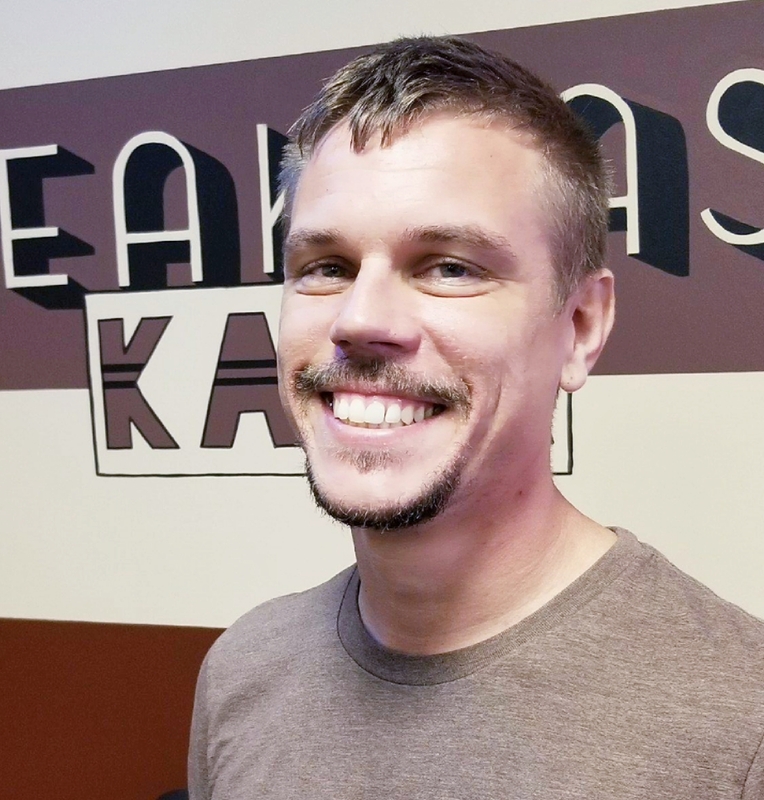 Doug plans to put all of his expertise to good use at Speakeasy Kava to make sure that every customer receives amazing service and drinks they'll be excited to share about. Allen Green is an owner and partner with Doug Merriott who comes to us with more than 15 years of experience in sales, marketing, and management. Additionally, Allen is a kava bar frequenter himself, so he knows the products and understands the unique environment attributed with kava and tea bars. 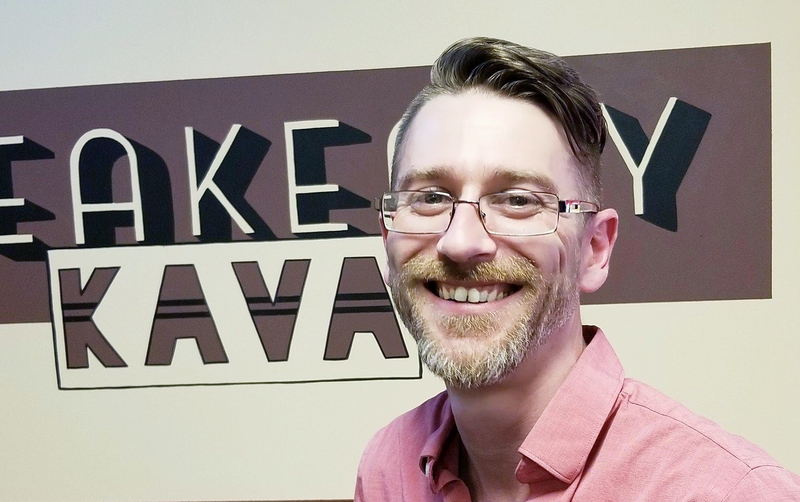 You can rest assured that Allen has the experience to always ensure a positive experience for Speakeasy Kava customers and staff. Allen lives locally in Pinellas County, FL with his wife Kathy. If you happen to stop by Speakeasy Kava and see him there, feel free to say hello, he's always happy to meet new friendly faces. Meet Ian, Speakeasy Kava's talented brewmaster, and teatender. Ian’s signature drink is a kiwi-lime cheesecake kava. He stumbled upon the tea community in 2015 when he was looking for an alternative to the typical alcohol scene. Like many in the kava community, Ian enjoys the social aspect of drinking kava with friends and meeting new people. Speakeasy Kava provides a fun social atmosphere for those seeking alcohol alternatives. When not working, Ian can be found playing some good ole’ Rock-N-Roll on his guitar, or entertaining friends doing stand-up comedy. Come visit Ian for a delicious kava drink and a quick pick-me-up. Help us in welcoming the newest addition to our team - Toni. Toni enjoys helping anyone new to kava and kratom to understand how beneficial both drinks are for their physical and mental well-being. 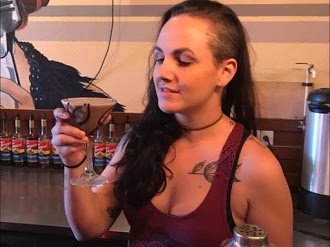 Toni's signature drink is a kava cocktail. When Toni isn't teatending at Speakeasy Kava, she's working her other job as an instructor for a local kid's after-school music program called Universal Rock School. Meet teatender Tom. Tom’s signature drink is a white chocolate raspberry cheesecake kava cocktail, however, his favorite part of being a teatender is the ability to create random drink concoctions. At Speakeasy Kava, he's found a new passion for experimenting and brewing with various botanical mixtures. Tom has traveled to over 25 kava bars across 4 states. Each one with a unique flair. 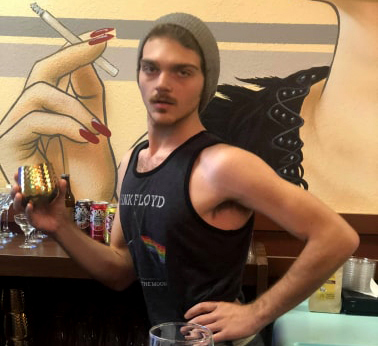 He feels the community itself is the best part of the tea bar experience as people are easy to converse with and open minded even when sharing opposing views. Tom enjoys drinking both kava and kratom. He likes the anxiety alleviating effect kava delivers and pain-relieving abilities of kratom. When not working in Speakeasy Kava you need only look to the sky to find this teatender -- Tom has a commercial pilot license with over 1200 flight hours under his belt! Wave high next time you see a plane towing a banner from Albert Whitted Airport in gorgeous St.Petersburg, FL. Kelsey comes to Speakeasy Kava with previous tea-tending experience; so you can feel confident she knows her way around the bar! When not working, Kelsey is usually playing ping pong. 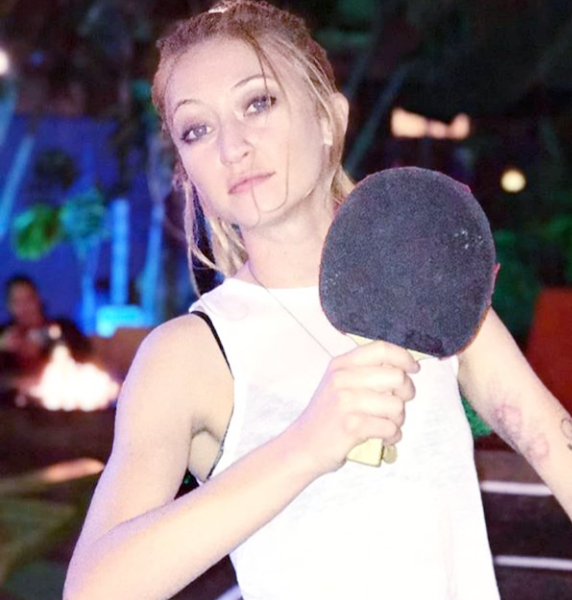 With plenty of tournament wins under her belt, Kelsey is known in the kava community as one of the best female pong players. Her favorite drink at Speakeasy is the chai tea kava, though she actually prefers to drink kratom tea more often than kava. Kelsey appreciates the kava community because of the healthy support system of friends she's found in it. Kelsey loves working at Speakeasy because of its laid-back vibe and diverse, creative menu. As a welcome bonus, she genuinely loves all of her co-workers and enjoys coming to work every day. You can count on Kelsey to always ensure you have a great experience at Speakeasy Kava! Leif is an amazing asset to the Speakeasy Kava family! 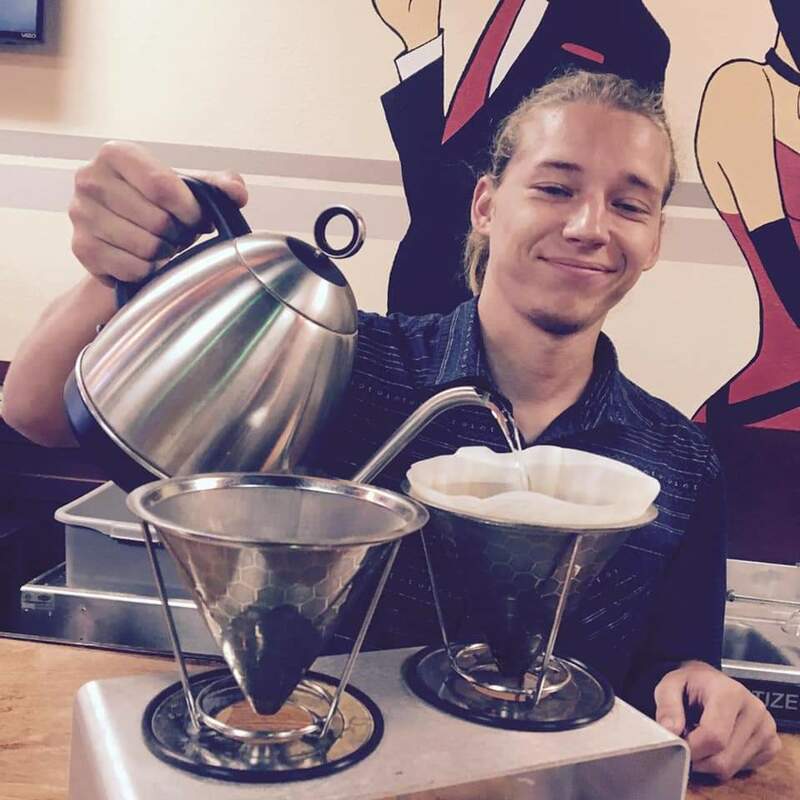 He joins us with existing service industry experience and knowledge of the kava community from his time spent hanging out at many of the local kava bars in the St. Petersburg/Clearwater area. Leif particularly enjoys the shots offered at Speakeasy and being a part of the creative process to help come up with new drinks. Leif keeps busy as a teatender and a brewer so if you come to visit us, there's a solid chance you'll get to meet him. 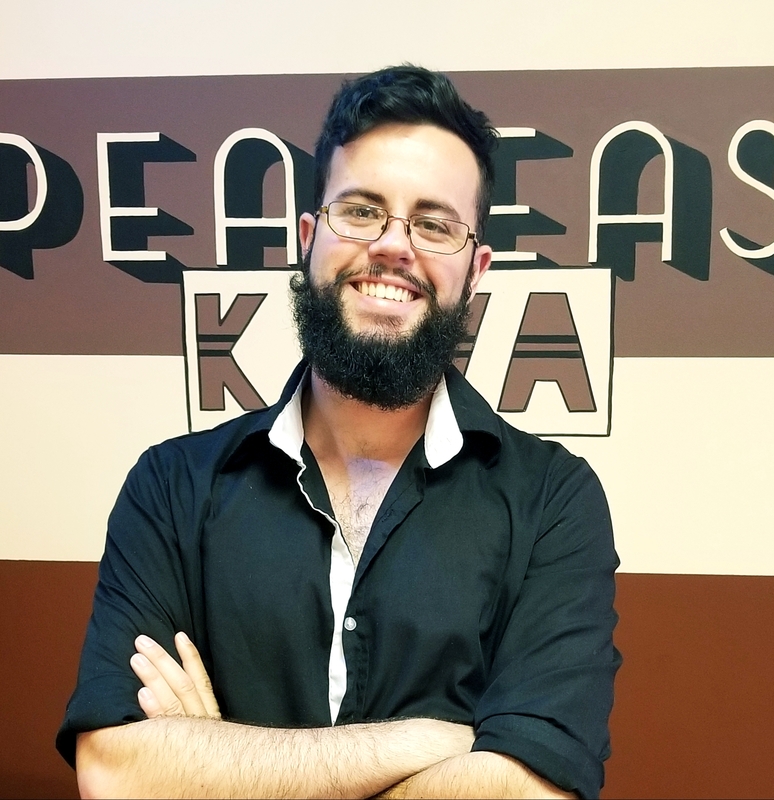 In addition to working at Speakeasy Kava, Leif is currently enrolled in classes for journalism and enjoys boxing plus spending quality time with his friends and family.